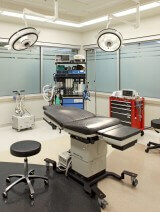 Surgical procedures are performed in our state-of-the-art accredited surgical suite. The surgical staff includes highly trained, board-certified anesthesiologists and registered nurses. State Licensed, Nationally Accredited Surgical Center.